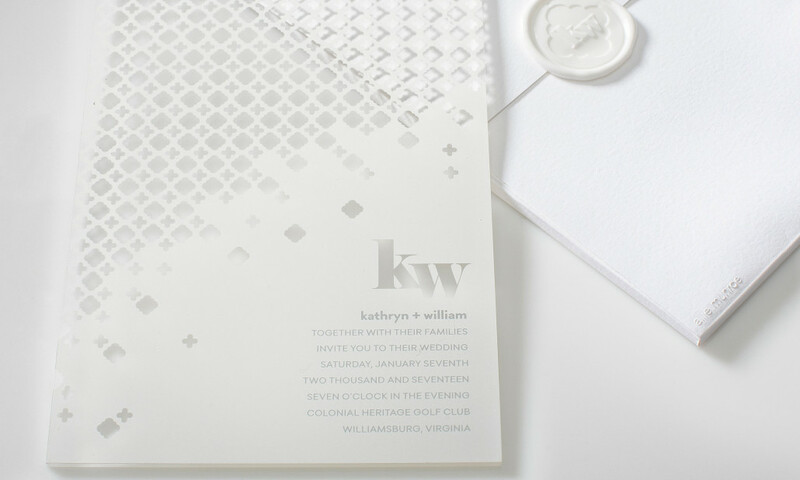 This wedding invitation won the 2014 Stationery Trends and Louie Awards. 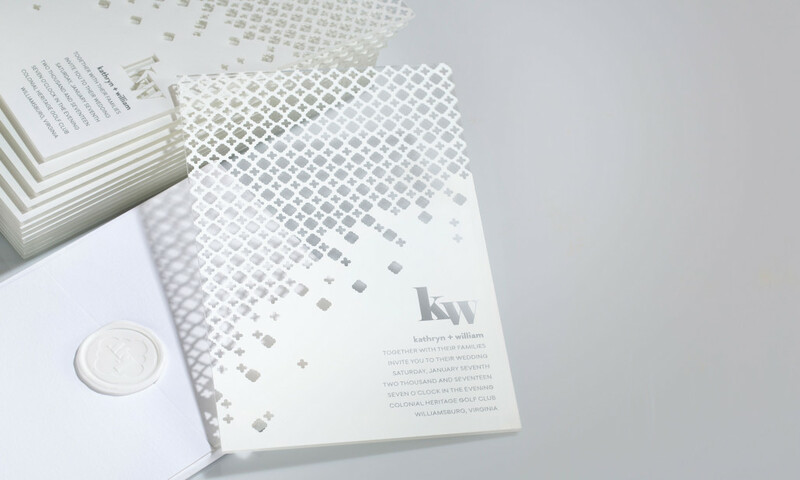 The text and pattern are printed on the front of clear acrylic. The heavy weight envelope is sealed with a wax seal with a monogram pressed into it that is designed to match the pattern inside.